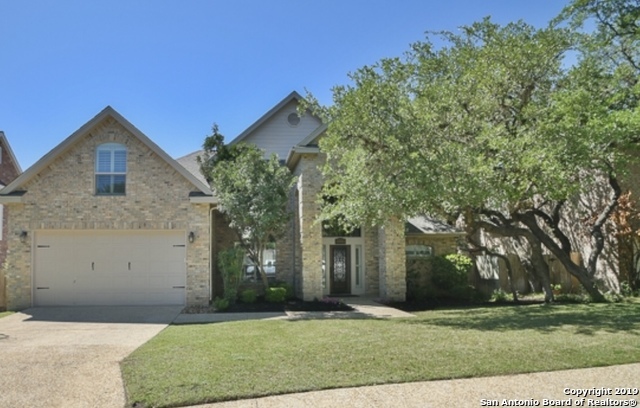 All INWOOD FOREST homes currently listed for sale in San Antonio as of 04/20/2019 are shown below. You can change the search criteria at any time by pressing the 'Change Search' button below. "Exquisitely updated home with sheek color palate, tall ceilings, great natural light. Gorgeous pool in resort style backyard with deck (2018), mature trees, sensational for entertaining. Ceramic tile wood finish floors(2017). Renovated floor plan, family room with beautiful floor to ceiling fireplace open to kitchen. Kitchen with custom cabinets (2017) and white marble counters and top of the line stainless steel appliances. Large master and secondary bedrooms. 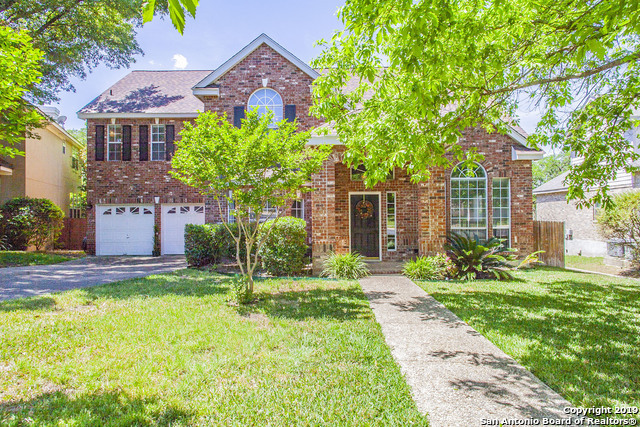 Perfect location 1604 is a minute "
"Gorgeous two-story custom-built home in Inwood Forest! A light-filled entry leads to a spacious living area with soaring ceilings and a fireplace equipped with gas logs. Downstairs there is a split-bedroom plan with a large master suite with a spectacular walk-in closet and a secondary bedroom and full-bath. Two bedrooms, a jack-and-jill bathroom, and a game room (or 5th bedroom) are upstairs.Come see this meticulously maintained home with plantation shutters, 4 sides of lovely brick and a bra"
"THIS FORMER MODEL HOME IS LOCATED IN THE DESIRED AREA OF INWOOD, JUST INSIDE LOOP 1604. THE ESTABLISHED AREA OFFERS TREE LINED STREETS, CONTROLLED ACCESS, EASY ON TO LOOP 1604, CLOSE TO POPULAR SCHOOLS, DINING & SHOPPING. INSIDE YOU'LL FIND A SPACIOUS, OPEN DESIGN W/ 2 LIVING AREAS, FIREPLACE, FORMAL DINING, UPDATED GRANITE KITCHEN, & VIEWS TO THE PRIVATE DECK & YARD. UPSTAIRS BOASTS 3 SPACIOUS BEDROOMS, FULL BATH & A LARGE MASTER SUITE W/ SITTING AREA, SEP.SHOWER/TUB & VANITIES! NEWER ROOF/NEW "